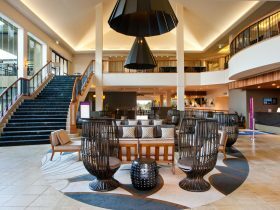 Facing East towards the Pacific Ocean, these two-bedroom Ocean View Apartments sleep four guests. Features include air-conditioning, fully equipped kitchen, including stone benchtops, European appliances, crockery, cookware and glassware, laundry facilities, including a washer, dryer and ironing set up, balcony with an outdoor setting overlooking the Pacific Ocean, Wi-Fi access, Foxtel television, main bedroom – king bed and separate bathroom with shower, second bedroom – two single beds and a separate second bathroom. 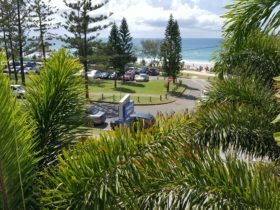 Facing south/east towards the Pacific Ocean and Coolangatta, these two-bedroom Ocean View Apartments sleep four guests. 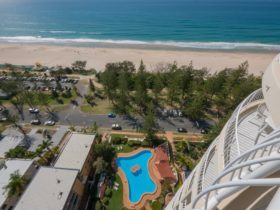 Features include air-conditioning, fully equipped kitchen, including stone benchtops, European appliances, crockery, cookware and glassware, laundry facilities, including a washer, dryer and ironing set up, balcony with an outdoor setting overlooking the Pacific Ocean and south towards Coolangatta, Wi-Fi access, Foxtel television, main bedroom – king bed and separate bathroom with shower, second bedroom – two single beds and a separate second bathroom. 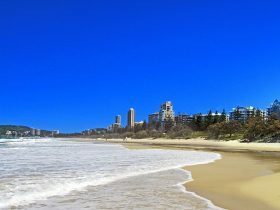 Facing north/east towards the Pacific Ocean and Surfers Paradise, these three-bedroom Ocean View Apartments sleep six guests. 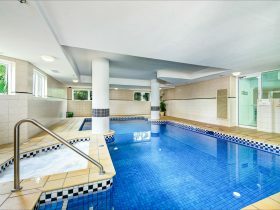 Features include air-conditioning, fully equipped kitchen, including stone benchtops, European appliances, crockery, cookware and glassware, laundry facilities, including a washer, dryer and ironing set up, balcony with an outdoor setting overlooking the Pacific Ocean and Surfers Paradise, Wi-Fi access, Foxtel television, main bedroom – king bed and separate bathroom with shower, second bedroom – one queen beds and a separate second bathroom and third bedroom – two single beds. 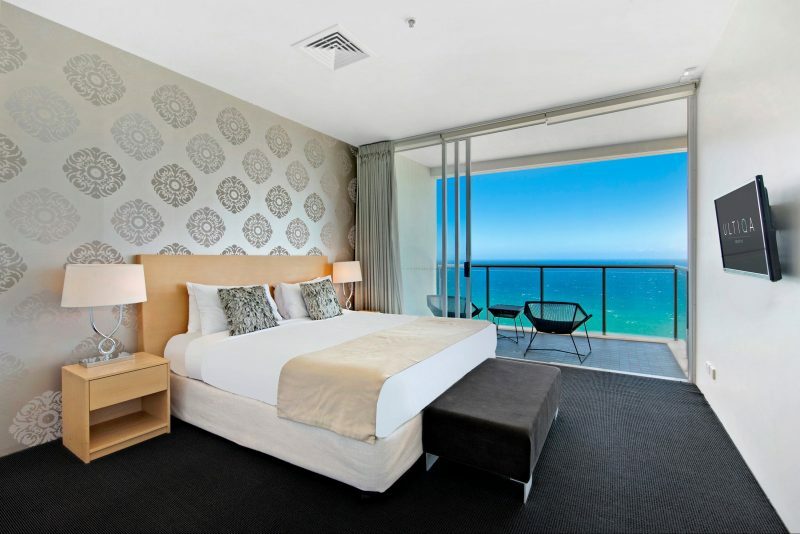 A choice of aspects varying from Pacific Ocean and Surfers Paradise views, Pacific Ocean Views and Coolangatta View, these three-bedroom Sky Villa Apartments sleep six guests. 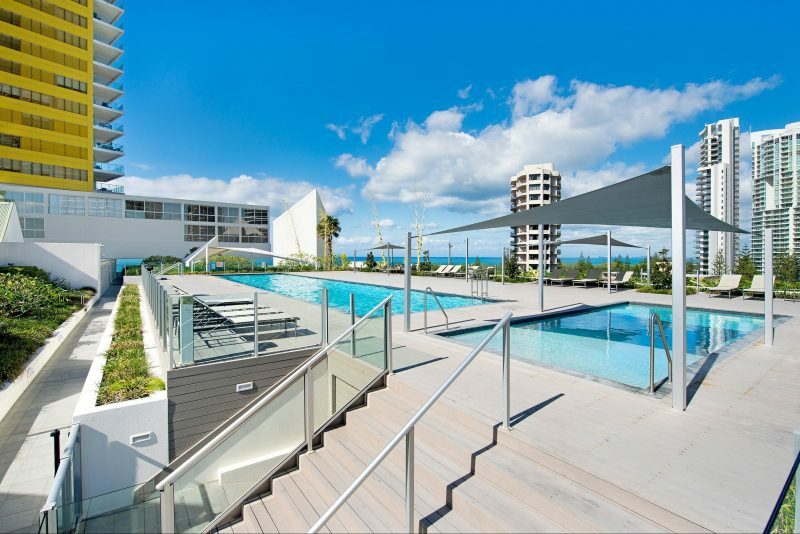 Features include air-conditioning, fully equipped kitchen, including stone benchtops, European appliances, crockery, cookware and glassware, laundry facilities, including a washer, dryer and ironing set up, balcony with an outdoor setting overlooking aspects varying from Pacific Ocean and Surfers Paradise views, Pacific Ocean Views and Coolangatta View, Wi-Fi access, Foxtel television, main bedroom – king bed and separate bathroom with shower, second bedroom – one queen beds and a separate second bathroom and third bedroom – two single beds. 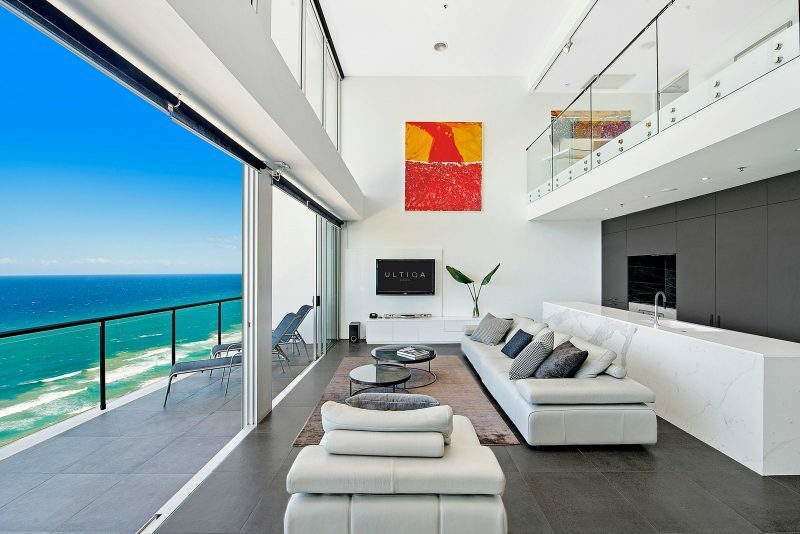 Facing south/east towards the Pacific Ocean and Coolangatta, this four-bedroom Sky Villa Apartments sleep eight guests. 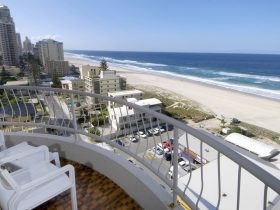 Features include air-conditioning, fully equipped kitchen, including stone benchtops, European appliances, crockery, cookware and glassware, laundry facilities, including a washer, dryer and ironing set up, balcony with an outdoor setting overlooking the Pacific Ocean and south towards Coolangatta, Wi-Fi access, Foxtel television,main bedroom – king bed and separate bathroom with shower, second bedroom – one queen beds and a separate second bathroom, third bedroom – one queen bed with separate bathroom and fourth bedroom – two single beds.